Sometimes, it's just the ideal time to sit back, surrounded by a full array of the finest of snacks conceivable, all cozy and comfy for a peaceful movie night. Finding a movie with a message that remains with you long after the credits have rolled is challenging. Extraordinary successfully takes on the challenge. 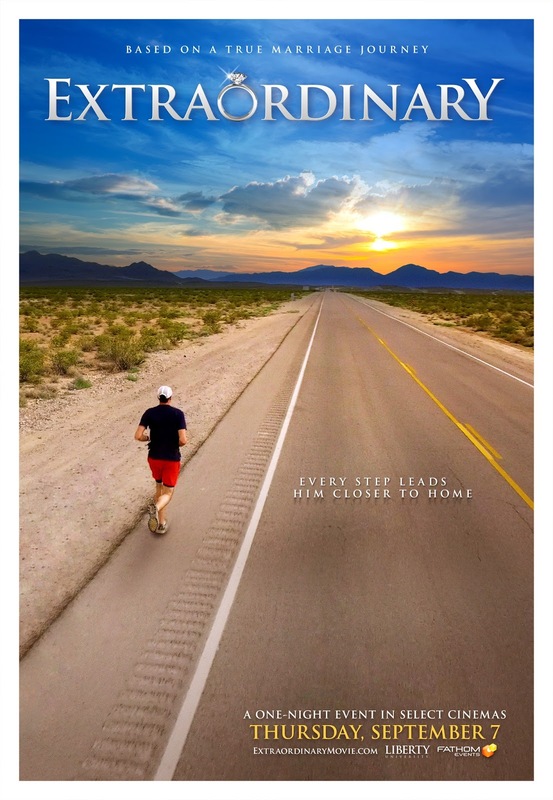 Based on the real-life events of acclaimed ultra-marathoner David Horton, and his wife Nancy, Extraordinary is an inspiring family movie with an empowering message from Universal Pictures Home Entertainment. Thank you to the public relations team for Universal Pictures Home Entertainment for providing a promotional copy for promotional editorial content purposes. Sharing a powerful story appropriate for the whole family to enjoy, David Horton has the extraordinary dream of accomplishing an almost 3,000-mile run. During his intense preparation, the effects challenges his body, while also challenging his marriage. True stories are usually my preferred type of movies to watch, the story of Extraordinary is based upon the real life events of ultra-marathon runner and college professor, David Horton, his wife, Nancy, and their personal relationship experiences. As an accomplished athlete, the balance between David's academic career, family life are unevenly balanced against his longtime passion for competitive running. Following open-heart surgery and intensive knee damage, his wife, Nancy urges Dave to leave behind his legacy of competitive running in a move to focus more attention on their family. Compelled, David embarks on a 64 day, 2,900-mile race across the United States. This true story is Extraordinary.